Google Apps Script sheet data to doc using templates course! 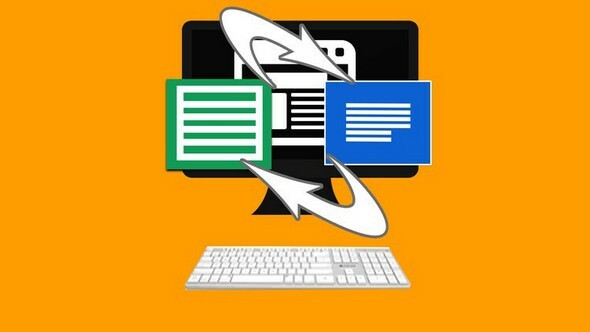 Learn how to use the power of Google App Script to power up your Google sheets and Google docs. This course will walk you through how to setup a Google Doc generator using a Google Doc as a template and storing the data in Google Sheets. Source code is included so you can get started quickly includes all methods and classes use for this type of project which can also be used for similar custom applications. Google spreadsheet is used as a data source the scope of this course is how to use Google Script to create Google Docs on the fly. In the course Google Sheets is used as a data source for the listing of created documents and templates storing the doc id and other important data so that it can then be referenced to link out to the Google Doc that was created. Within this project we show you how to access the Google Script editor, all you need is a Google account and you are ready to create apps! Using the script editor you can access your google spread sheet data and use it like a database. Create a template or as many as you like, the app can pull them in dynamically by searching your google drive and pulling them into the script. Use Google script then to read the file contents and select all the fields you want to have inputs for within your template. All this data goes into the Google Spreadsheet which then gets access by the part of the app that creates documents from the template. Open the dialog window select the template, all the fields for the template get populated into the dialog form which allows the user to easily enter values to populate the new template with. Select create and the script will make a new document in your Gdrive folder using the template and updating the fields with new data. All this in a few lines of code built using Google Script. This course is designed to illustrate what can be done with Google Script and how it can be used to create applications that do a lot. This course is taught by an instructor with over 18 years of web development experience having worked with Google Script for over 2 years. I'm here to help you learn how to build applications and ready to answer any questions you may have. Join now and see what Google Script can do and how you too can use Google Script to produce some amazing applications. DriveApp : Allows scripts to create, find, and modify files and folders in Google Drive. SpreadsheetApp : This class allows users to open Google Sheets files and to create new ones. This class is the parent class for the Spreadsheet service.